The Ringling Bros. finally free circus elephants! One step closer to protecting all elephants! Since 1919, The Ringling Brothers Circus has captivated fans around the world with their fun, acrobatic festivities. A core part of their act has always involved elephants. Elephants wearing hats and capes. Elephants standing on two feet. Elephants spinning in circles. Elephants doing jumps. And so on and so forth. It all looked so fun. And elephants are so big and majestic that even just seeing them up close is worthwhile. What many fans didn’t know when they saw elephants doing tricks, however, is that behind-the-scenes they suffered. Many circus elephants are stolen from the wild, ripped from their mothers when they are just infants. Their daily lives are marked by bull hooks, electric cattle prods, ropes and fireplace pokers to get them to contort and strain into difficult positions and memorize strange movements. Since 1992, 30 elephants have died while in the custody of The Ringling Bros. 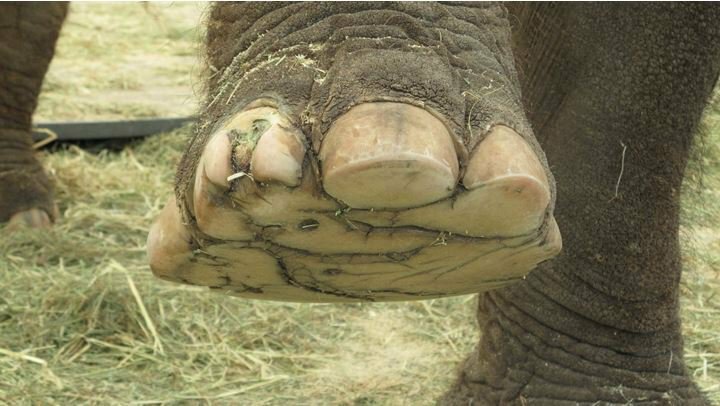 But starting May, 2016, elephants will no longer be subjected to the harsh circus life at Ringling Bros. The decision came a year and a half earlier than expected. All current elephants will be retired. And no other elephants will be pulled from their homes and subject to this circus life. However, some activists argue that the place where the elephants will be sent is not ideal and elephants will still be subject to bad conditions. So more still has to be done--these elephants should be sent to a sanctuary. Nonetheless, this is a major victory for elephants and animals everywhere. The sooner humans recognize that animals are dignified creatures with complex emotional lives, the sooner animals will be allowed to live freely and fairly. Elephant populations are under threat from poaching around the world, which is a far graver issue. But the victory at Ringling Bros. shows that progress can be made, which will inspire people to take action around the world. Elephants can be protected. Global citizens everywhere just have to stand up for them. Because how humanity treats animals is a test of how humanity treats the environment and how humans treat each other. Animals, the environment and people everywhere need the support of global citizens to truly change the world for the better. You can help spread awareness for the protection of elephants by making the Global Goals your New Year's Resolution in TAKE ACTION NOW.